A secluded Windward Oahu beach, one of the hidden hot spots on Oahu. 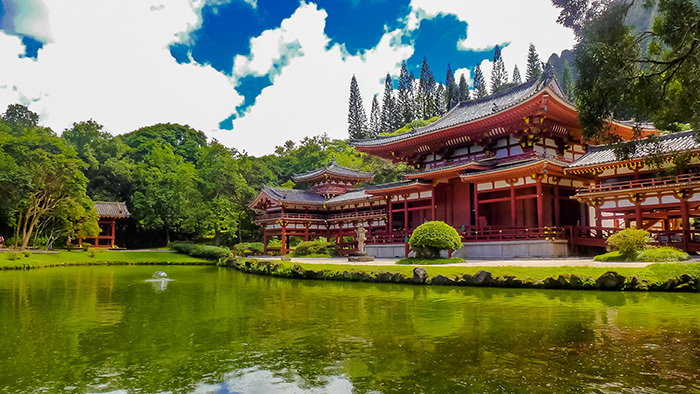 Oahu is a busy place where it can be challenging to find seclusion or hidden attractions. We have chronicled some of its most thrilling experiences on Oahu as well as the must-do activities. But, there are still many other exciting things you can find off the beaten path. Interested? If so, here are our best hidden hot spots on Oahu. Fine art, design and sculpture enthusiasts will have their pick of amazing events to attend on Oahu. But one of the best experiences is the First Friday Art Walk in Chinatown. The galleries open from 5 to 9 pm on the first Friday of each month. It offers a lively opportunity to talk to artisans and to appreciate their craft. The Kim Taylor Reece Gallery on the North Shore is a place to see the art of hula captured on camera. If you are in the area from Monday to Wednesday in the afternoon, be sure to stop by. Here, you’ll see the photographer’s culmination of 25 years of her work immortalized in print. During November to December, the craft fairs held at Neal Blaisdell Exhibition Hall are well worth visiting. For those interested in Hawaiian crafts or authentic gifts of Hawaii, it could be especially worthwhile. Bellow’s Field Beach Park is one of the longest stretches of sandy coastline on the island. Located on an Air Force base, the beach is a great place for body surfing, quiet time and camping. For mind-boggling pictures with rugged backdrops, go to Halona Cove. Here, Burt Lancaster and Deborah Kerr kissed in an epic scene in the shore break in the award-winning film, From Here to Eternity. This is could be one of the best hidden hot spots on Oahu. Surfers know Makapu’u Beach for its strong surf and pounding waves. It can be dangerous for novices. But if you want to simply admire the rugged coastline and beautiful scenery, it is the place to go. Another serene beach landscape can be found near the northwestern tip of the island. 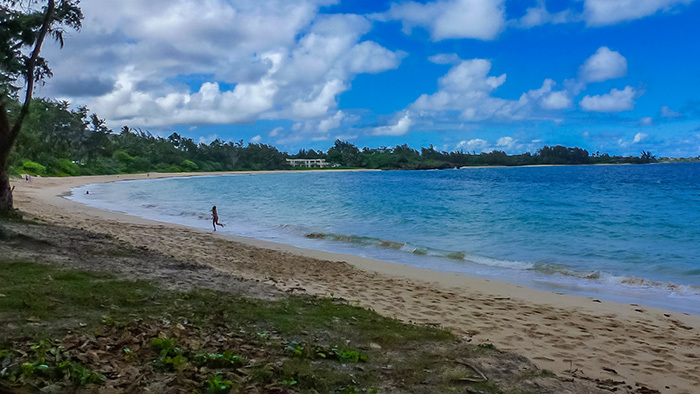 Here, you can find at the idyllic Mokule’ia Beach often free of crowds. If a place just to swim and sunbathe is what you are looking for, try Lanikai Beach in Kailua. Some have rated it as one of the best beaches in the world. If you want to catch a glimpse of dolphins, head to Waianae Harbor on the leeward side of Oahu. Here you can get on a tour boat to get close-up views of these magnificent creatures. 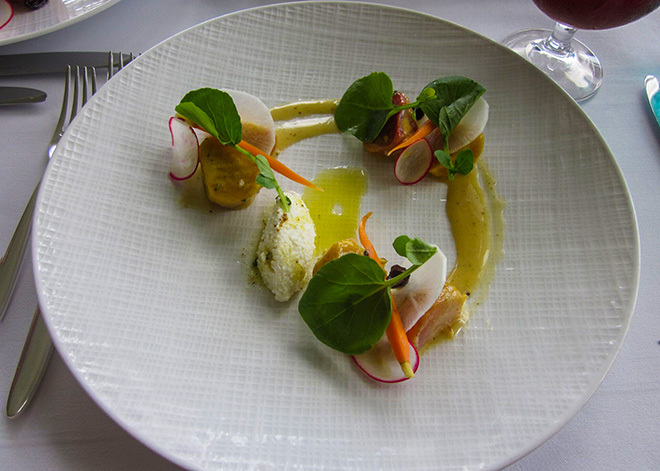 There is an overwhelming amount of incredible places to dine in Honolulu of all types and price ranges. But there are also many hidden hot spots on Oahu for food. One of the best places for exotic fruit specialty desserts and scrumptious Hawaiian food is Ted’s Bakery on the North Shore. Ted’s serves decadent dishes like chocolate haupia cakes, strawberry guava fruit pies and peach Bavarian cream pies. Tita’s Grill in Kahuku is a quaint family diner. Here, visitors can sample some of the best local food Hawaii has to offer. Whether you are in the mood for garlic shrimp or a loco moco, patrons are in for a treat. Dining on food from lunch trucks might seem unappealing to some. But the dishes from Giovanni’s Shrimp Truck and Famous Kahuku Shrimp Truck on the North Shore will definitely show you otherwise. Interested in seeing a replica of a 950-year old United Nations World Heritage Site? If so, you can find it behind Kaneohe’s Valley of the Temples cemetery. It’s a smaller scale version of the Byodo-in Buddhist temple in Uji, Japan. This other-worldly-looking building was constructed in 1968 entirely without nails. It also features beautiful gardens, koi fish, gazebos, swans, peacocks and a statue of Buddha. The State has officially designated the site as a Hawaii State Landmark. Also, television series, such as Hawaii Five-O, Magnum P.I. and Lost, have prominently featured this location.